Losing someone you love is always difficult, but the pain is made that much worse when the loss is sudden and completely unexpected. A family from Ontario, Canada is struggling with immense grief after a deadly chain reaction, four-vehicle crash in Northwest Jacksonville. A Ford F-250 pickup truck reportedly hit the rear end of semi-truck causing the F-250 to careen across I-295’s grassy median and collided with a Honda CR-V occupied by two adults and two children. The collision occurred on northbound I-295 near Duval Road, according to Jacksonville.com. The driver of the CR-V died as a result of the collision. The three additional occupants suffered significant physical injuries. Based on the facts available, it appears the driver of the Ford F-250 could have operated their vehicle in a reckless and irresponsible manner. This means the family in the Honda CR-V that had their lives turned upside down may have the basis to take legal action against the negligent driver and file a wrongful death lawsuit in civil court. Obviously, no amount of money can bring a loved one back. The pain and trauma of losing someone you care about will remain. Nevertheless, our civil justice system allows aggrieved loved ones to pursue some semblance of justice and seek financial restitution for their harms and losses. Your lawyer may also be able to pursue punitive damages (also known as punishment damages), depending on the facts of your case. Punitive damages are typically available in cases where the negligent party’s actions were reckless and wanton and that behavior proximately caused the loss of life. The objective of allowing a plaintiff to pursue punitive damages is to punish the negligent party and discourage others from engaging in similar behavior. Litigating a wrongful death lawsuit can get complicated and frustrating, especially when dealing with claims adjusters and defense attorneys for the negligent driver’s auto insurance company. You should focus on picking up the pieces of your life and going through the grieving process. 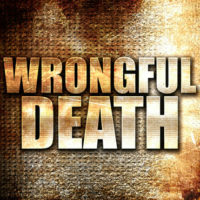 An experienced Jacksonville wrongful death lawyer can take the burden off your shoulders and contact the appropriate insurance representatives and file the necessary paperwork in court. Your lawyer can also work to compile and organize relevant accident reports, witness statements, medical records, photographs of the accident scene, etc. to ensure liability is clearly established. Do not fight this battle alone. Hire an experienced and aggressive Jacksonville law firm that will advocate for you and the loved one you lost. Gillette Law, P.A. is here to help. Contact us online, or call us at 904-358-1304 or toll-free at 888-366-5904. We offer free, confidential, and comprehensive consultations.